The Church of Laxolo, dedicated to St. Gotthard Bishop, is located in the center of the hamlet at m. 530. It seems to have been the first church of the area of Brembilla. 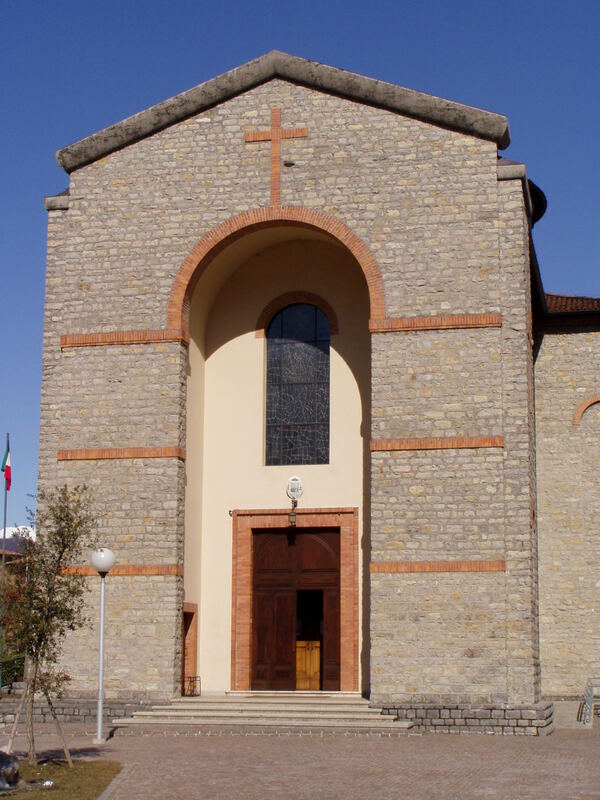 It was founded as an independent parish with a decree of November 23rd 1919 by the Bishop Luigi Maria Merelli. The new present church was built alongside the old one by the enterprise Gervasoni between 1936-1938. The new church was consecrated on February 5th 1938 by Bishop Adriano Bernareggi. It presents an eclectic style with Byzantine ideas in the three apses, in the dome with a cylindrical lantern outside and an hemispherical cap inside. The monumental atrium of the façade is characteristic. From the ancient church come the numerous paintings of mostly anonymous Genoese painters of '600 /' 700, as the central blade of St. Mery with Saints Sebastian and Gottardo, and the one with S. Gottardo in the chair.